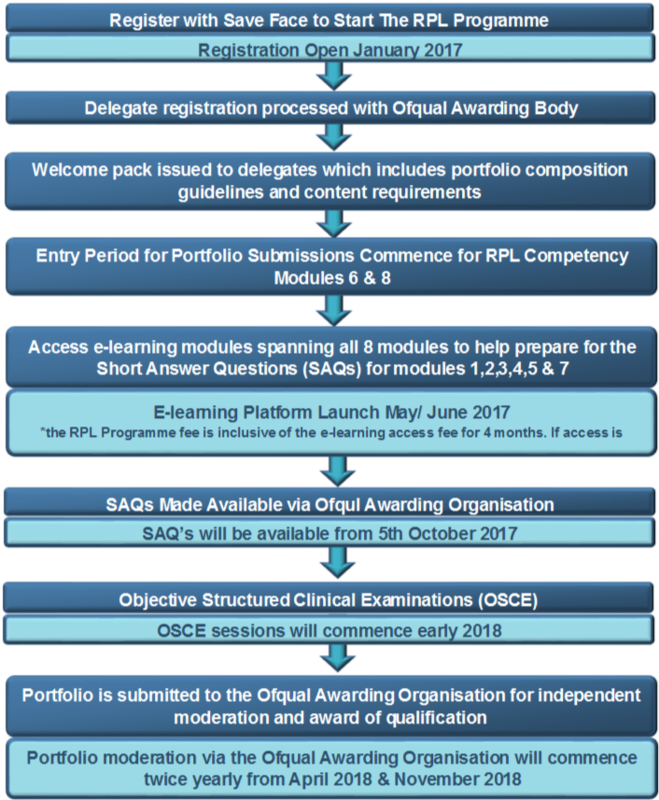 In conjunction with an Ofqual Regulated Awarding Body, Save Face are now offering Recognition of Prior Learning (RPL) that enables aesthetic practitioners to match their experience and competency in providing cosmetic injectables with an Ofqual regulated Level 7 qualification in Injectables in Aesthetic Medicine. 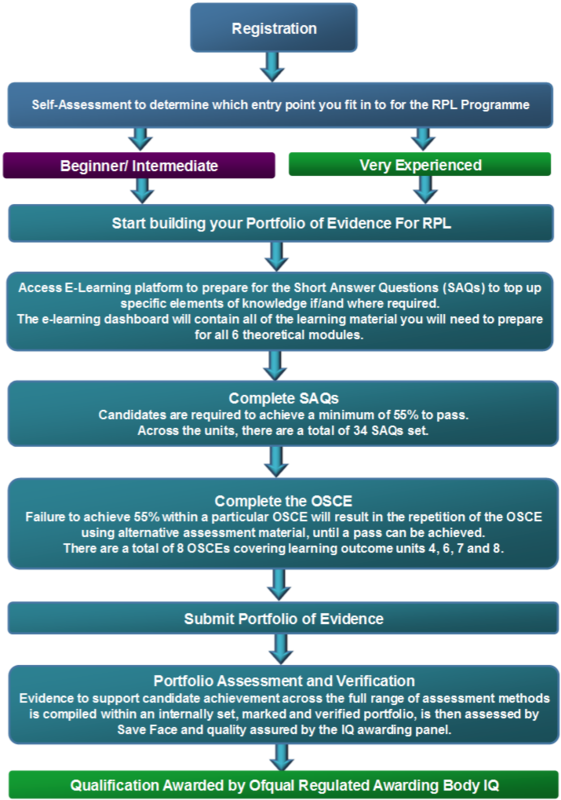 Recognition of Prior Learning (RPL) is a method of assessment (leading to the award of credit) that considers whether candidates can demonstrate that they can meet the assessment requirements for a unit through knowledge, understanding or skills they already possess and therefore will not need to develop through a course of learning. Recognition of Prior Learning (RPL) is a time and cost effective method of gaining a recognised qualification which allows practitioners to demonstrate that they have the necessary practical and theoretical skills required to be awarded an Ofqual regulated qualification. 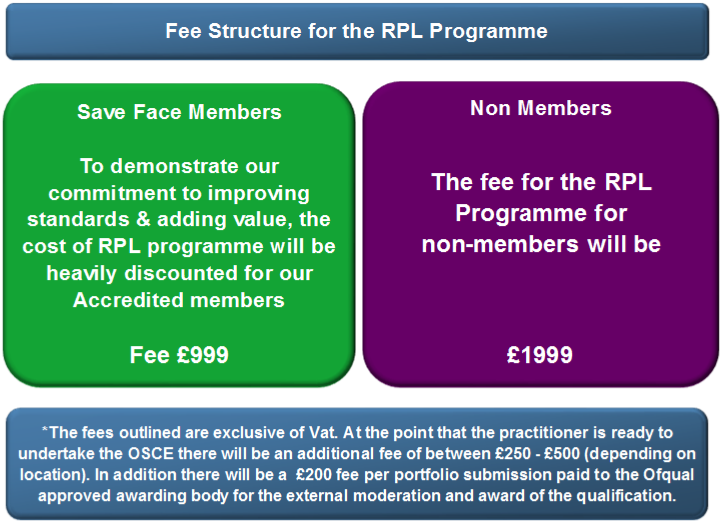 The RPL programme is designed to compliment our standards and to add value to practitioners by supporting them to achieve a recognised qualification specifically for aesthetic medicine. 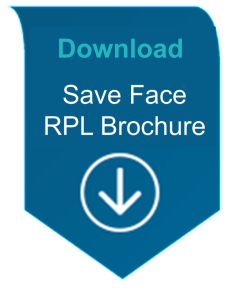 For more information on the Save Face Recognition of Prior Learning Programme for the Level 7 Certificate in Injectables for Aesthetic Medicine download our brochure. If you would like any further information about the Save Face Recognition of Prior Learning Programme for the Level 7 Certificate in Injectables for Aesthetic Medicine, please click here download our brochure.